Thousands ventured into downtown New Castle for the Fireworks Festival featuring Arts on the Riverwalk. 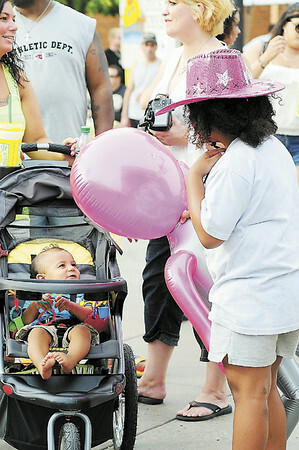 Ten-month-old Niko Brown enjoys the compaby of Aubrey Phipps, 7, as their parents talks at Saturday's Fireworks Festival. Both families are from New Castle.